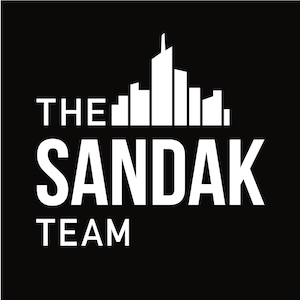 The Sandak Team has extensive experience representing buyers, sellers, investors, renters and landlords throughout New York City. The team is led by Michael Sandak who has over a decade of experience in the real estate industry. His unsurpassed market knowledge and dedication to his clients have resulted in him being named the preferred broker for several large international companies and enabled him to grow a loyal and diverse customer base. His diverse clientele ranges from young professionals to celebrity entertainers, C-Suite executives of Fortune 500 companies and the CFOs of major sports franchises. Michael is joined by his brother, Heath, along with John Lecce. Heath is an Ivy League-educated former corporate finance lawyer whose resourcefulness, professionalism and deal management skills have made him the go-to real estate advisor for many legal and finance professionals at New York City's leading law firms, investment banks and private equity and hedge funds. John is a former manager and marketing consultant in the music industry who helped launch the careers of several well-known artists. The negotiation, organizational and interpersonal skills that he gained while working on high-profile deals in the music industry are a tremendous asset to his real estate clients.